A few days ago, the Lord began talking to me about what He has in store for 2019. When He did, He also told me several strategies He wants me to use to see His will manifest in my life next year. I want to share these strategies with you over the next several days, as I believe they will help and bless you also. The first strategy that He showed me was to write seven “I am” statements to frame your year. Father God is anointing people for total transformation, and it starts with re-defining who you are. “I exercise three times a week.” – Yeahhhhh. So I started and stopped a few times, but I eventually got my seven “I am” statements. I am more on fire for God than I’ve ever been in my life. I am a healthy, fit size 8. I am full of grace, shalom peace, joy, and power. I am faithful to the Lord’s call. Now, keep in mind that these things do not even come close to summarizing my “goals” for 2019. But goals are a totally different thing. Goals are about actions and due dates, and these “I am” statements are about re-defining who you are. Two totally different things. So my seven “I am” statements are not my goals. However, they are the things that immediately came to mind when I sat down to write my statements. Some of them are important to me because they’re the most important things in life (e.g. being on fire for God–#1–and being full of His Kingdom–#3). Others are important to me because I need to redefine who I am in those areas (#2, #5). All of them take my proverbial breath away. Father God is pouring out a grace right now for total transformation. For some reason, God always talks to me about the new calendar year at the end of November–about 40 days before the new year actually begins. He actually has me start living the new year at the same time, about 40 days before it actually begins. I don’t understand exactly why, but the sense I get is that by starting to live the new year now, I don’t get caught up in the start/fail mentality that is so easy to fall into when you only pay attention to the secular new year’s festivities. So anyway, Papa talks to me about the new calendar year early. He has me start living it early, and He tells me early what He wants for the new year. And what He told me today is that He is pouring out a grace for total transformation. Not just partial transformation. Total transformation. Father God is pouring out His anointing, grace, and help right now to help people re-define who they are on paper first, and then implement the changes in every area over the course of the next year. The long picture is that, in one year and 38 days or so from today, your life can be totally transformed in every area. You will need a routine that you follow every day. You must define your path and write it down in advance. You must dedicate yourself to living purposefully every every day. It will be like final exam week at the university. They celebrate because they made it through. They celebrate because they achieved a milestone. They celebrate because they don’t ever have to go back there. And Papa God is telling me that, if we will treat 2019 like final exam week, you will not ever have to go back around this same, dumb mountain. If you will treat 2019 like final exam week, you will not ever have to go back around this same, dumb mountain. You will graduate, and you will enter your Promised Land. But, you’ll have to be sober and vigilant. You’ve been suffering awhile already. Now is Father’s time to perfect you. The question is, do you want this? Do you want what He has for you? Do you want what He has for you badly enough to “See then that you walk circumspectly, not as fools but as wise, redeeming the time, because the days are evil” (Ephesians 5:15-16)? Because this is what it’s going to take. Only the serious will appropriate everything. Everyone can receive mercy drops of what they want from above. Some will be a little more serious, so they will receive a little more. But the serious ones will receive EVERYTHING God has for them. That hit me in my spirit really deeply: the serious ones will receive everything. I’m tempted to back up from typing that, because “everything” to me is an awful lot. It’s a scary thing to prophesy, and I didn’t start this word intending to prophesy it. That sentence just kind of hit me as I was writing and praying through this word. But it hit me deep in the gut, like a 40-caliber slug from the Holy Spirit’s smoking pistol. It knocked me backward when it hit me, literally. And although my flesh wants to back up so I won’t risk being wrong, I can’t back up. It’s hitting me deep, and I believe it’s the Lord. I believe 2019 is the year when the serious ones will receive everything. I believe that as we go through our year-long final exam week, Father God will so anoint us to finish things and perfect things–in many cases, things already put in place and set in motion–that we will be astounded to see Him move through our efforts plus His grace and power. I believe that He will do more by His mighty hand than we ever could have dreamed, but He is going to require us to be faithful and diligent first–for our diligence makes the basket for us to hold His miracles in. 2019 will be final exam week. I can’t get away from that. The serious ones will receive everything. In the spirit, I see a vision of male student walking through a university campus. … for he is about to graduate. And by the way: In the vision, the building this young student walks into is the building at my local university where the dining hall is. HELLO. Psalm 23:5: “You prepare a table before me in the presence of my enemies; You anoint my head with oil; my cup runs over.” The Lord has prepared a table before you, and you are going to eat of it in 2019. … and you’re going to get everything when you do. If you are one of the serious ones. If you are serious about transformation for the next year and 38 days, your entire life can change. If you do, get serious now. Get serious today. Forget those things which are behind, and reach forward to those things that are ahead. Block off your entire calendar if you have to. Do whatever it takes, and do it between you and Holy Spirit alone. But do it. 2019 is final exam week. The giants you see before you today, you can never see again. You can vanquish them, obliterate them, wipe them off the face of the planet. You can occupy your Promised Land so fully and completely that you will not recognize your life in one year and 38 days. 2019 is final exam week. And strangely enough, the season for what God is doing starts now. Begin now. God continually bless you for being a blessing to me. God bless you woman of God . Thank you for this Prophetic Word and Strategy , I am getting on with the preparation my final week exams . God richly bless you . God bless you woman of God! Thanks for the insight from the Holy Spirit. I’m so excited to be s part of the total transformation, I’m in final week preparation and eagerly anticipates the end of the exams. Thank you for being such a blessing and Gid’s beautiful Masterpiece? This blessed my socks off!✌? Dear Jaime thank you for your prophetic message. God gave me a similar message. He showed me I must prepared before I reach the goal. Thank you for listening to the Lord. Me too, Evelyn! He showed me that He still needs to work on who I am before He can bless me with His sweet riches! I can”t wait for Father God’s continued blessings! Bless you all, especially you Jamie for helping to guide us! Great prophecy so powerful and mighty, Amen I thank The Almighty for those prophetic words. Thank you for sharing this word! Just yesterday Ps 23 popped into my head starting with vers 5! I am experiencing an acceleration in Spiritual maturity these past few weeks, which makes me so excited!! And your blog has contributed much, thank you for being obedient. May more and more blessings come your way, the Lord goes before you! Beautiful powerful words that bring joy! Thanks to our great Father! And thank you, dear Jaime, for sharing them with us! ? God really knows how to speak to us. He knows that when I was in college, how focused and dedicated I was to doing my very best. I was serious. I was disciplined. Through this blog, He has awakened me to be this way with Him, His purpose for me, and His Word. I can’t say everything I want to say on here but you are a blessing. Your ministry has touched my heart in many ways including to assist in bringing me out of depression at times. I love you. I love your heart for Papa and His children. I love you humble boldness. Thanks for your time to love us through Jesus! Thanks so much Jamie for helping me in getting a head start on 2019. Thank God for you being a great encouragement in my life. Blessings of the Lord overflow in your life. The Lord has directed me to your blog purposefully and I am so grateful for what I have learnt thus far. Thank you Lord for a powerful woman of God like Jamie.? Shalom From New Zealand! Just to let you know Jamie I also am right now in the “I AMs” from God. It began about a week ago. Dealing with “ancient” misbeliefs & the lies of the father of lies e.g. I disappoint everyone therefore I AM A DISAPPOINTMENT (bitter) to “I AM CHOSEN BY GOD AND PRECIOUS FOR GOD HAS CHOSEN ME AND APPOINTED ME TO GO AND BEAR FRUIT THAT WILL REMAIN…(sweet). AND ! God is already bringing His perfect will to pass. KEEP UP THE AWESOME SHARING & LABOUR OF LOVE JAMIE ! THIS IS THE BEST CONFIRMATION EVER!!! Praise the Lord! I receive everything Jesus says I am and all He has for me. I was distracted and seem like I would never finish. But I know I am. I come this far by faith to give up and I will graduate next year. Amen. This is exactly what I am praying for… and what I need too! I want my whole life and my ‘self’ to change for the better so that I can rise up to fulfill my destiny. I am sure I needed to read this… I have to take it seriously! There is no choice but to do it, so that I can see the promises of the Lord fulfilled in my life. I have to do my part for it… I know and am sure that the Lord is with me and He is faithful! With Him on my side, I can do it!!! Love spending some time on your web site today. there is SO much Godly info.. thank you..
after my hysterectomy in my mid 40’s I went through terrible anxiety.. I was on meds for a short time , got off those & went the natural God given mineral , vitamin route. esp Vut b & D3.. which is a huge blessing. but one ‘hangover’ from the anxiety is , for me , is being a bit of hypochondriac ! not as bad as some.. LOL, I never run to the Dr or ER . but the issue is still there..
if you have any other insight on dealing with this . Do you realize you have just started a massive tsunami of transformation among the people of God ! The Lord will reward you generously at the judgement seat of Christ and even before the end of 2019. My prayer for you is that your 7 I AM statements be fulfilled. Jamie this is MASSIVE!! We need to get this out into the entire world!! Thank you for your obedience and service to this community! Bless you! Dear Jamie, I wish you were right here with me, so I can give you a big, big hug?. Last month, I heard the Lord tell me to write down my plans… Guess what? I wrote five I ams. Days after writing them, I began to see changes in my life. You can’t imagine the progress I have made since then! Praise God! Some days back the Holy Spirit led me into studying Heb 11. The verse that lighted up in me was verse 6. However, the word diligently stuck there and refused to go away. Ever since, I have handled things with much more diligence because I know it will be greatly rewarded. Everything you said is so so true including psalm 23:6. The Lord also spoke to me about. Really am beginning to think I have tapped into your anointing just by reading your blog. The pieces of puzzle have all come together thanks to you. All praise to the Father, son and holy ghost! I am so blessed to read this and eternally blessed to be a beneficiary of this. Let my final exam start. Let my 2019 start. This is powerful word, After praying I was directed to open my email, I saw this message. This is what He has for me. Thank you Holy Spirit. I just want say, thank you for your obedience to the Holy Spirit because everything you have written about the Spirit of God has been leading me in that direction and our Bishop Roberta Thomas just gave a prophetic word on the same thing on yesterday’s online teaching. So I know that God is moving and quickly. I have also been receiving dreams that has been very strange. They are like pieces to some puzzle. Thank you again and please continue to do what you are doing it is making a difference. God Bless You!!!! I just finished my day 1 prayer and thought i should read one more message. I can only say thank you Jamie for this confirmation. All praise to God. Setting the path after this in small steps is what it boils down to for me. And even more to plan a review witching a month or 2..
Bless You and THANKS this made pickup my Bible and start reading it again! I just now discovered your blog last week; and I know it wasn’t a coincidence that I ran it it. 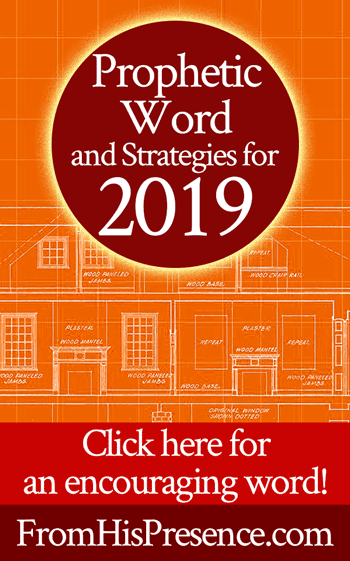 You are a great women of God and your blog posts have been a great help to me, specifically the prohetic word strategies for 2019. I didn’t see that blog post till the end of Feburary, so hopefully it isn’t to late for me to start implementing the strategies and receive what God has for me in 2019. I am working on redeeming the time and spending my time wisely. I’ve already started implementing some of the prophetic strategies; then I had a stressful week at work and got off track; but I am back on track now. If I get off track or don’t do each day perfectly does that mean I won’t receive the blessings that God has for me? I am trying to be consistent but it’s hard. Hi Jessica! You are definitely not too late! 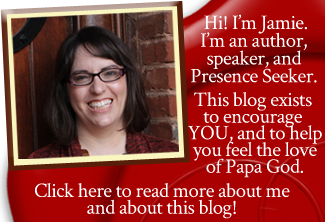 I’m glad you found this blog, and I’m thrilled that it has blessed you! If you get off track with what the Lord has asked you to do from day to day, just tell Him you’re sorry right away, and change whatever you’re doing to get back on track. He is so merciful and kind and gracious! The Bible says He is mindful that we are but dust. He will help you, though, from day to day if you’ll ask Him. Here’s an article about His help, and how He helps you both want to obey Him and actually do the obeying, too! … I hope it encourages you! Welcome to this community! Great! I just got through reading that article this morning and I thought how awesome it is that God will help us want to do his will. I didn’t even know that until I read the article. This is great topic for me to study next. Thanks for opening my eyes and giving me wisdom and revelation.